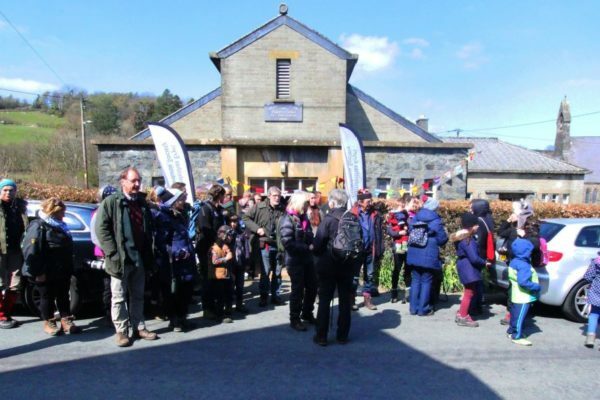 The Snowdonia Society is a conservation charity which works hard to protect and enhance Snowdonia. The Society carries out practical conservation work, campaigns to protect the National Park’s special qualities and owns the iconic Tŷ Hyll with its lovely wildlife garden and woodland. The Society runs a major conservation volunteering programme. Our volunteers work hard to look after special places and wildlife habitats across Snowdonia. In addition to volunteer workdays we also have an extensive programme of training activities relevant to the special qualities of Snowdonia. Practical conservation activities include habitat management, woodland management, footpath work, litter clearance and tackling invasive species. 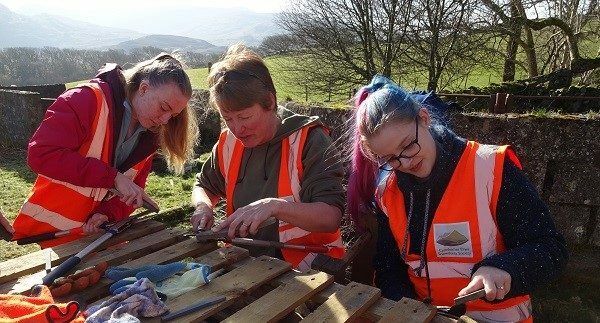 Training activities are varied and include our accredited in-house training for volunteers; currently we deliver a unit called Practical Conservation Skills which is accredited by Agored Cymru. The post holder will take responsibility for leading training sessions and workdays for participants and will be responsible for assessment of participants work in the field and in course workbooks. Full training will be given in assessing trainees. All Snowdonia Society staff are part of a team. They contribute in many ways to the wider work of the charity and to the key task of recruiting of new members and volunteers. This is a part-time post of 22.5 hours a week. Flexibility in working days will be essential. Weekend work will be required, for which ‘time off in lieu’ will be granted. *For the candidate with the necessary skills and experience, there is an additional opportunity to take on the wildlife gardening work at Tŷ Hyll. This would involve a small number of additional regular hours each week. • A working knowledge of countryside management and nature conservation. • Competent in using Word, Excel and Powerpoint, updating websites and social media. • Current driving license, own vehicle and business insurance – work takes place across Snowdonia and hand tools will need to be transported to the worksites. Out of office mileage is reimbursed. • A passion for conservation and a knowledge of habitats and wildlife found in Snowdonia. • Experience of, and a passion for wildlife gardening – including good wildflower identification skills and a working knowledge of how to manage and maintain a wildlife garden. • Identify and develop workday opportunities and activities. • Liaise with partners to ensure smooth running of workdays and training. • Lead volunteer workdays, including arrangements for equipment, materials, and tools to be on site. • Assessment of volunteers completing accredited training. • Develop and implement woodland management at Tŷ Hyll, working with volunteers and local experts. For an informal discussion about the post telephone Mary-Kate Jones (Project Manager) on 01286 685498. Please note we can only accept applications which are completed using our Standard Application Form Applications by CV only will not be considered. Mary-Kate Jones, Snowdonia Society, Caban, Brynrefail, Gwynedd, LL55 3NR.